Owing to our vast industrial experience in this domain, we are involved in providing a vast array of Outdoor Sun Lounger to our clients. 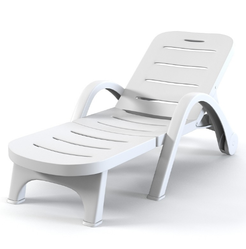 This Outdoor Sun Lounger can be used to place around swimming pools to simply relax your body. 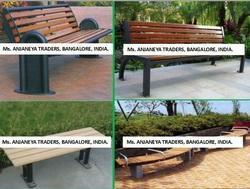 Offered products are of high quality which makes them extremely popular. Very comfort transat/sunbath products made in aluminium, top quality powder coating / epoxy painting process with all needful comfort for poolside. The beautiful green color studio lounger With Ottoman gives a Contemporary look to your living room. The colours are vibrant and full of life and ambition. A Best expression of your love. The simple and stylistically pure sunbed Rest complements the Diamond products. Made from maintenance-free Cane-line Tex® The Rest products are available in grey, brown or white. We are the leading supplier of Folding Sun Bath Lounge.